“Let’s finish this with a bang”, said frontman Josh Homme before powering into the pulsating ‘Feel Good Hit Of The Summer’. Their riff-laden show offered up an unmissable performance for any true rocker. If you’ve ever see QOTSA before you’ll know how loud they are – and they didn’t disappoint this time around. 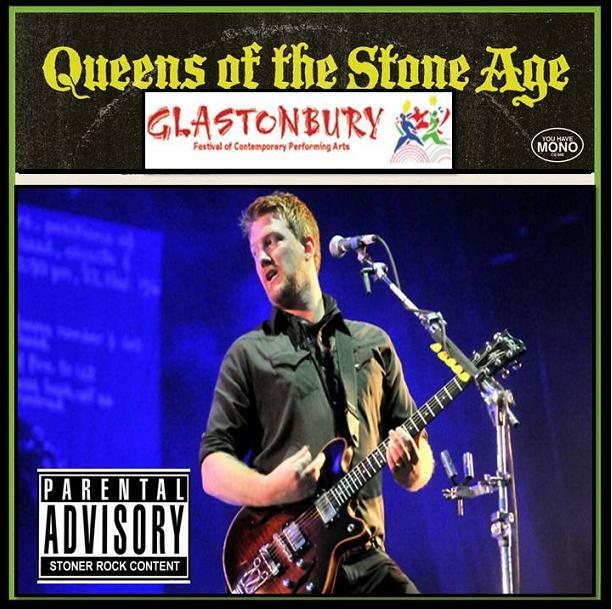 With one of the loudest live set-ups on Glastonbury what better way to end the festival than with the imposing riffs of Queens of the Stone Age , and can forget all about Beyonce , who was headlining at the Pyramid Stage that same day ( ??? ) . You can download full audio mp3 , or watch and download a part of this gig on AVI video .